Huawei Mate 10 Pro vs. Google Pixel 2 XL: Can Huawei top the Android powerhouse? Huawei has finally taken the wraps off the Mate 10 and Mate 10 Pro. These devices boast top-tier specs, beautifully large displays, and a design that puts them firmly in the 2017 flagship category. Of course, the Huawei Mate 10 and Huawei Mate 10 Pro are not the only flagship phones to recently come out. 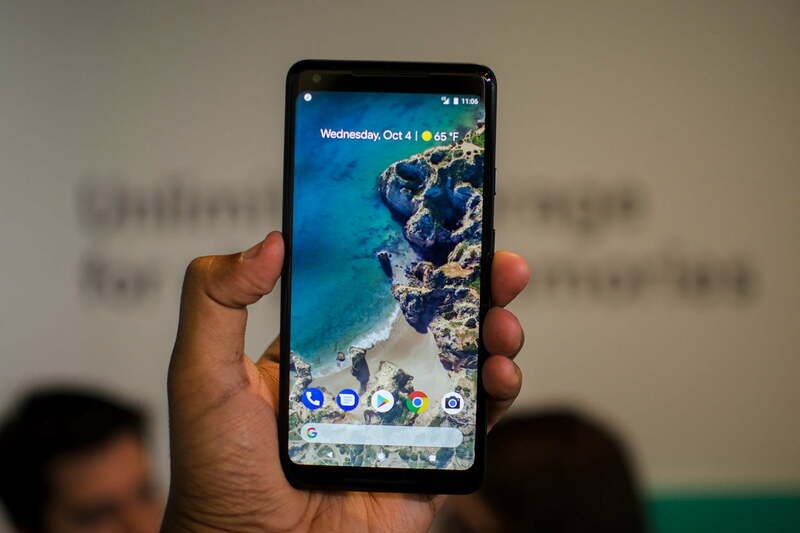 Google unveiled the Pixel 2 and Pixel 2 XL to much fanfare at its recent hardware event, and they could pose quite a threat to the newly launched Mate 10 series. How does the larger Huawei Mate 10 Pro compare to the Google Pixel 2 XL? We put the two phones head-to-head to find out. It’s clear that both of these phones are powerful devices, but they take a different approach. 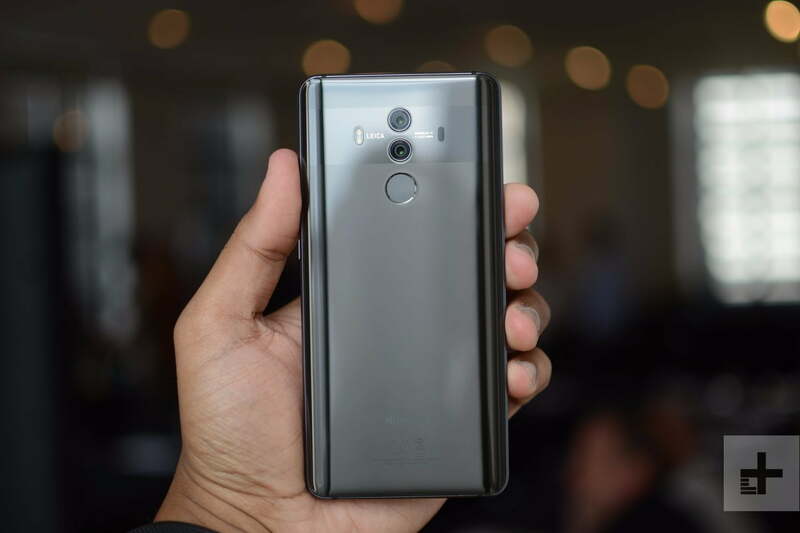 While the Google Pixel 2 XL offers the Qualcomm Snapdragon 835 processor, Qualcomm’s latest and greatest chip, the Huawei Mate 10 Pro features Huawei’s latest chip — the Kirin 970, which is coupled with the Kirin Neural Processing Network. We don’t yet know exactly how well the Kirin 970 performs against the likes of the Snapdragon 835, but the fact is that both chips are powerful and both should be able to handle everything you can throw at them right now. While the 64GB model of the Mate 10 Pro has 4GB of RAM, just like the Pixel 2 XL, Huawei also offers a hefty 6GB of RAM in the 128GB version. It’s debatable how much RAM your smartphone needs, but multitaskers looking for a high-performing device might prefer to go for the Mate 10 Pro over the Pixel 2 XL. You can also get a version of the Pixel 2 XL with 128GB of storage, but it still has 4GB of RAM. Neither phone has a MicroSD card slot. Both of these phones are top-performing phones, but without benchmark results for the Mate 10 Pro, we don’t know which one performs better just yet. Right now, this one’s a tie. Both the Google Pixel 2 XL and the Huawei Mate 10 Pro feature some very 2017 design elements. The Pixel 2 XL, for example, has a large display that features beautifully rounded corners and only tiny bezels. Similarly, while the Huawei Mate 10 Pro doesn’t have rounded corners, it does have a nice big display worthy of a 2017 flagship. The Pixel 2 XL continues the previous Pixel’s trend of offering a mixture of glass and metal on the back — unlike the Mate 10 Pro, which sticks with solely glass on the back. Speaking of the display, both phones offer pretty nice ones — but the Pixel 2 XL slightly edges out the Mate 10 Pro. That’s because it offers a much sharper 2880 x 1440 resolution display over the Mate 10 Pro’s 2160 x 1080 pixel display. Both displays come in at 6-inches, and the Pixel 2 XL has a pOLED display, while Huawei has opted for an AMOLED display. The Huawei Mate 10 Pro offers a fully glass back, while the Google Pixel 2 XL only has a little glass on the back. That could be a big deal for durability, especially if you’re prone to dropping your phone, but we’d still advise getting a case. As far as water goes, both phones come in with an IP67 rating, which means they can handle rain and even submersion in water up to one meter deep for up to 30 minutes. Because of the better display, Google’s Pixel 2 XL wins this category. The batteries on these two phones are actually pretty different. While the Google Pixel 2 XL comes in with a pretty big 3,520mAh battery, Huawei takes things a step further with a larger 4,000mAh battery. That’s a big difference. The bigger battery should go a longer way too, thanks to the lower resolution display. Both of the phones have fast charging of some kind, with the Google Pixel 2 XL able to charge up to 7 hours in 15 minutes, and the Huawei Mate 10 Pro able to charge up to 58 percent in 30 minutes. Because of the much bigger battery, this one has to go to the Huawei Mate 10 Pro. When Google unveiled the Pixel 2 XL, it highlighted the record DxOMark score, hailing it as the best camera in a smartphone ever. That’s a big deal, and while it’s likely that title will be passed around a lot in the next few years, the fact still remains that right now, the Pixel 2 XL takes the best photos. Still, the Huawei Mate 10 Pro does offer a few advantages. 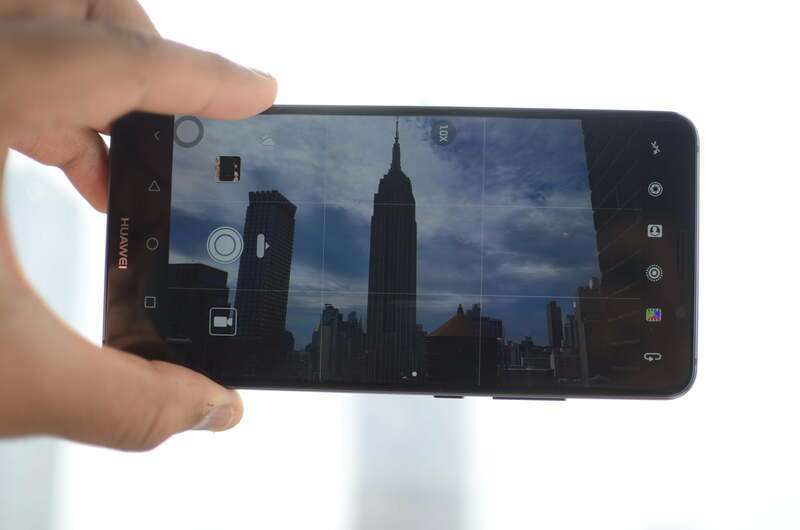 For starters, unlike the Pixel 2 XL, it has a true dual-lens camera. There’s a 20-megapixel monochrome camera alongside a 12-megapixel RGB camera, while the Pixel 2 XL only has a single 12.2-megapixel camera. The ability to take two shots simultaneously and merge them allows all sorts of camera cleverness, but Google is able to achieve some similar effects, like bokeh, through machine learning and its so-called “dual-pixel” technology. On the Mate 10 Pro both lenses have a dual f/1.6 aperture — which should be super helpful in low-light situations. The Pixel 2 XL camera has a slightly smaller f/1.8 aperture. Both phones have an 8-megapixel front-facing camera. We’ll have to conduct more testing to see which camera is truly better, but initially it seems that they’re just better for different situations. For now, this one’s a tie. While the Google Pixel 2 XL offers a near stock Android experience, Huawei has done some tweaking to Android for EMUI. The Huawei Mate 9 offered EMUI 5.1, but instead of upgrading to EMUI 6.0, Huawei has jumped to EMUI 8.0 for the Mate 10 and Mate 10 Pro — in an effort to bring the software more in line with Google’s latest platform release, which is currently Android 8.0 Oreo. EMUI offers various tricks and is tweaked to promote Huawei’s software and take more advantage of the edge-to-edge display. Whether that’s a good thing depends on your tastes, but there are some compelling advantages to stock Android, not least the fact that the Pixel 2 XL will get updated features and security patches immediately as Google rolls them out. Because of its simplicity, quick updates, and overall lack of bloatware, we’re giving Google the win here. 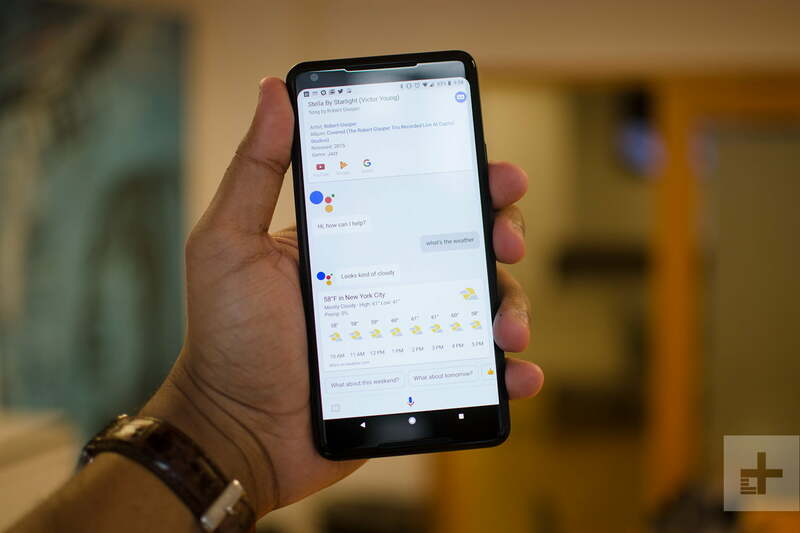 The Google Pixel 2 XL was first announced on October 4, and it’s currently available from the Google Store — though you may have to wait a while considering the stock issues that Google has been having. The device starts at $849, which is pretty pricey — but we don’t know yet if it’ll be more or less expensive than the Huawei Mate 10 Pro in the United States. All we do know about the Mate 10 Pro’s pricing is that it comes in at 800 euros in Europe — which is around $945 right now — though that’s not necessarily an indicator of how much it’ll go for in the U.S. The Pixel 2 XL is also available from Verizon. We’re not yet sure if any American carrier will offer the Mate 10 Pro. For now, this one’s a tie — though that could change. This one was a very close call. While the Huawei Mate 10 Pro is certainly a promising phone — especially in performance, thanks to its NPU, and in battery life, thanks to its massive battery. Those things still aren’t enough to beat the Pixel 2 XL’s better display, arguably easier-to-use software, and what we expect to be better camera. Both phones are excellent, and we’ll have to wait and see what the price point of the Mate 10 Pro ends up being — but for now, if you’re looking for a great flagship phone, we recommend going for the Google Pixel 2 XL.